There's plenty of options for dining at Marketplace Gungahlin. Whether you're meeting a friend for coffee and a chat, grabbing lunch on the go, or indulging in a mouth-watering meal for a special occasion, Marketplace Gungahlin has you covered for all occasions. 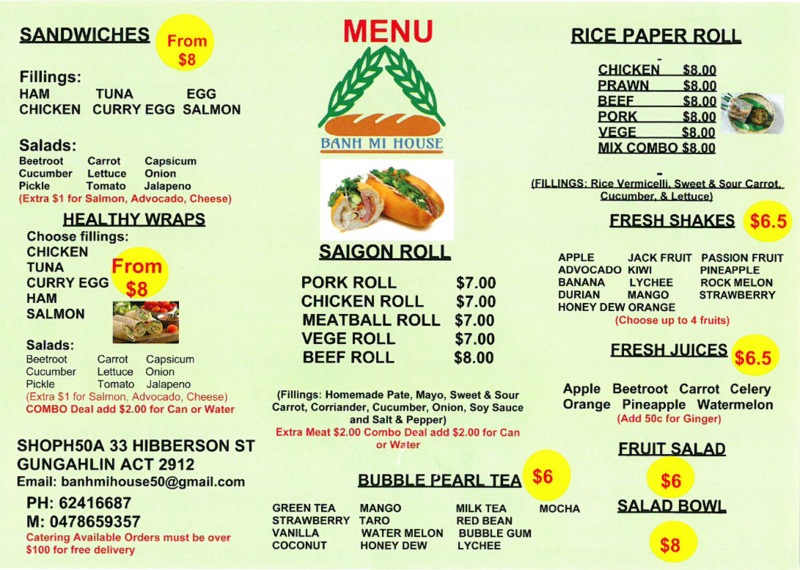 Banh Mi House offers Vietnamese street like Pork Rolls, Rice Paper Rolls, fresh fruit shakes and many more delights. From the original typical Japanese food such as katsu, sushi, to italian spaghetti, there's something for the whole family at Bento Tei. A modern take on traditional thai dishes, cooked with fresh, premium ingredients every time. Everything is prepared fresh to ensure the most authentic taste and high quality. Coffee Guru are the experts in coffee, serving up gourmet coffees plus a range of drinks including iced teas, hot chocolates, protein shakes and a range of specialty Single Origin coffees. 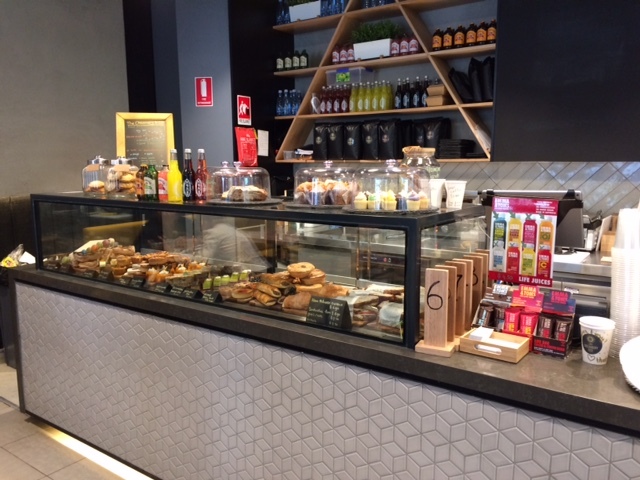 Creamery & Co is the latest cafe to join Marketplace Gungahlin. Locally owned, Creamery & Co is a family business and is run by owner Edmond, his wife and his mother. Crust Pizza serve a delicious range of gourmet pizzas, salads, pasta and dessert, using only the finest ingredients to create unique combinations that don’t just feed your sense of taste, they’re adventures in flavour. Gelatissimo makes fresh gelato daily, using the finest ingredients - no artificial colours or flavours. Including classic to quirky flavours, choosing is half the fun! Hot authentic Chinese meals with extremely friendly staff, dine in or take away. Jade Dumpling Noodle House are famous for their dumplings, with good reason. They offer a delicious selection to choose from, whether you prefer steamed or fried, including prawn and pork, pork and chive, and beef and coriander. Mr Sushi has been making sushi in Canberra for many years, serving up a variety of sushi and sashimi freshly made from high quality ingredients. Oliver Brown is the ultimate dessert destination, specialising in decadent dishes made from the finest quality chocolate, imported directly from the world’s chocolate capital in Belgium. 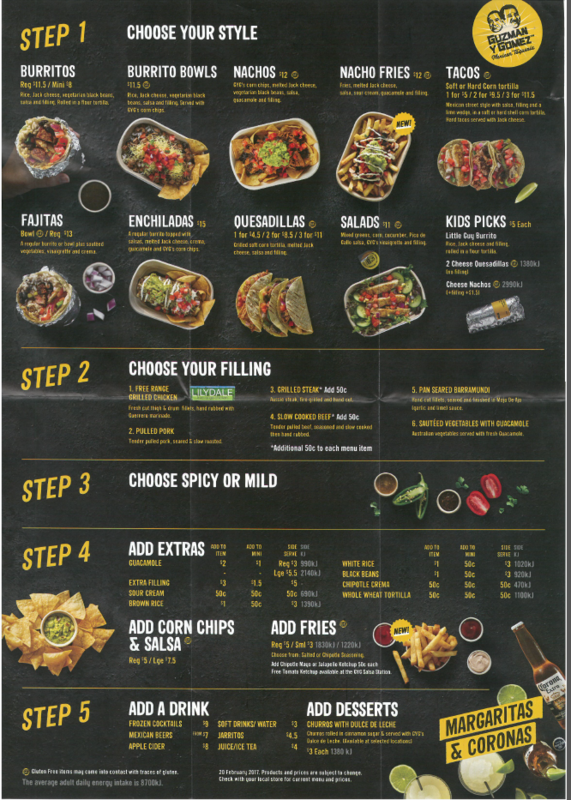 Famous for their chicken burgers, Oporto also offer wraps, salads, chicken pieces, bites and snacks, breakfast, and a range of tempting sides. So whether you’re after breakfast, lunch or dinner, Oporto has got you covered. Simply Pho serve a variety of Vietnamese street foods, including traditional pho, spring rolls, rice paper rolls, vermicelli dishes, and mouth watering open flame grilled chicken or pork chops. Soul Origin offers a wide range of healthy and delicious breakfast and lunch options. Everything is made fresh daily in-store by their experienced chefs. Offering a huge range of sandwiches, from basic to gourmet, healthy to not-so-healthy, Subway are the sandwich specialists. Korean BBQ restaurant with a diverse menu including Terriyaki Chicken, dumplings, kimchi and Korean-style sushi. Young and Frisky's menu takes its inspiration from the southern states of America, featuring hot fried chicken as well as other tasty pub food such as chicken schnitzel, steaks and burgers. Enjoy zesty and delicious Mexican food: slow-cooked meats, tasty salsas and guacamole made fresh. Treat yourself to a traditional Turkish feast and experience the taste of real Turkish cuisine. Zehni’s Turkish Kitchen offers authentic and delicious Turkish food in a warm and friendly atmosphere. Explore a world of flavours at Marketplace Gungahlin, from Turkish to Mexican, dumplings and banh mi to sushi and subs - we've got you covered from breakfast to dinner. In a rush? Pop into one of our many convenient grab-n-go cafes, or pick up some takeaway. Want to stay a little longer? Sit back, relax, and enjoy a dining experience at one of our restaurants. Feel like trying your hand at a bit of Masterchef-ery in the kitchen? Pick up all the ingredients you'll need to WOW your family and friends at Woolworths or our other fresh food retailers. Everything you need to make mealtimes great - we've got it at Marketplace Gunahlin.